The backpack may be an essential daily tool thanks to it’s outstanding mix of practicality, comfort and elegance. It is, as an example, useful for commuters, for who may be walking or riding the bike to go to work, but also for who travels and moves a lot, as it perhaps may be your case. If you are careful to wear it in the proper manner, it’s good for your back, because weights will be evenly distributed, without giving up on style. There isn’t, of course, a single backpack that fits all styles at the same time, it all depends on your necessities, your habits and your character. We chose three backpacks among our wide catalog of made in Tuscany leather bags.We are sure you will find the right one for you. 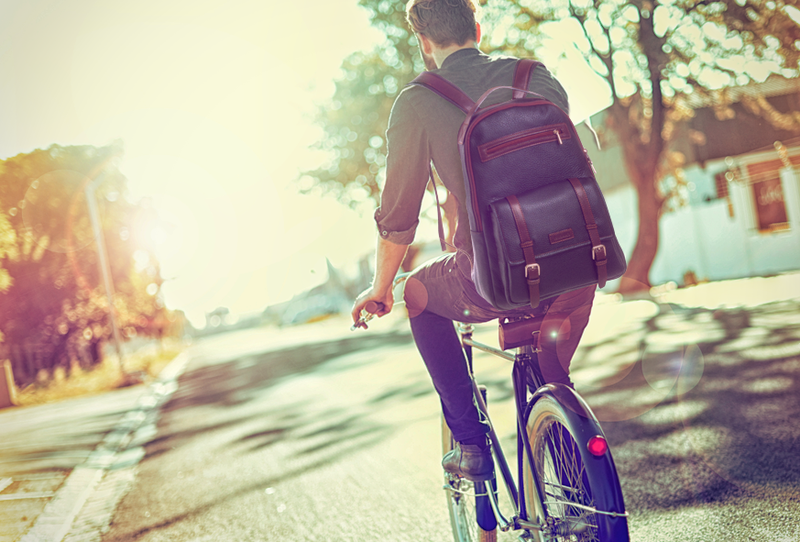 If you go to work by foot or by bike, then Topazio is the bag for you. Sturdy, safe and compact, you can match it with your suit and your tie, while you cross the city struggling to get to the meeting in time. Thanks to the various pockets, inside it you can fit all you need: Laptops, tablets, books and folders - and don’t forget a bottle of water to rehydrate yourself! 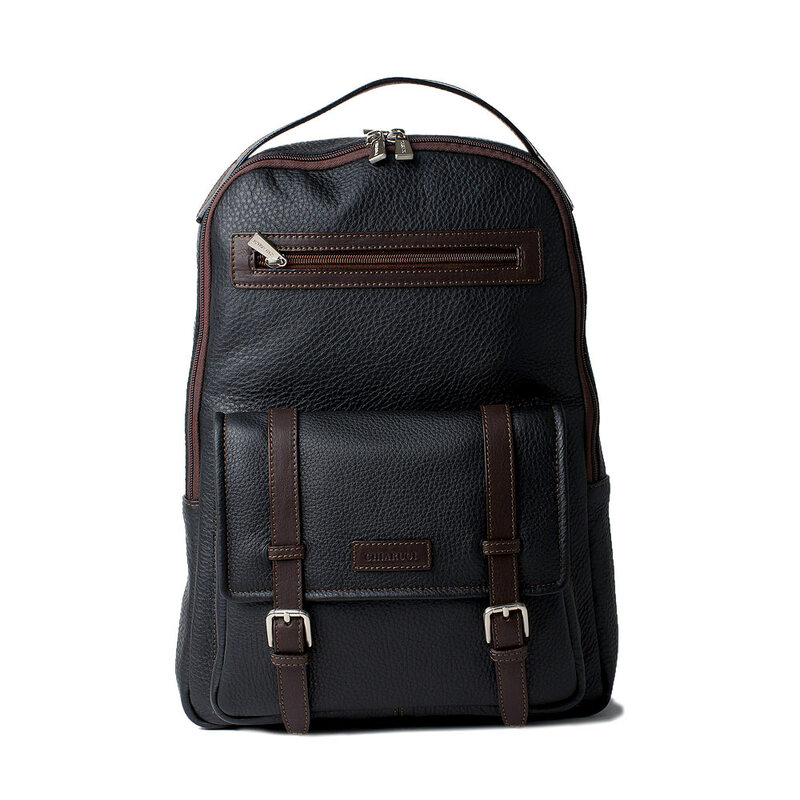 Realized in precious full grain leather, this bag has a classic look that doesn’t forget comfort and usefulness. Perfect for you who needs your day organized and often moves between a lunch break in the gym and a meeting in the office. But it’s also right for small work or enjoyment trips. A stroll, a path, a cliff, the sunset. Have you brought your camera, haven’t you? 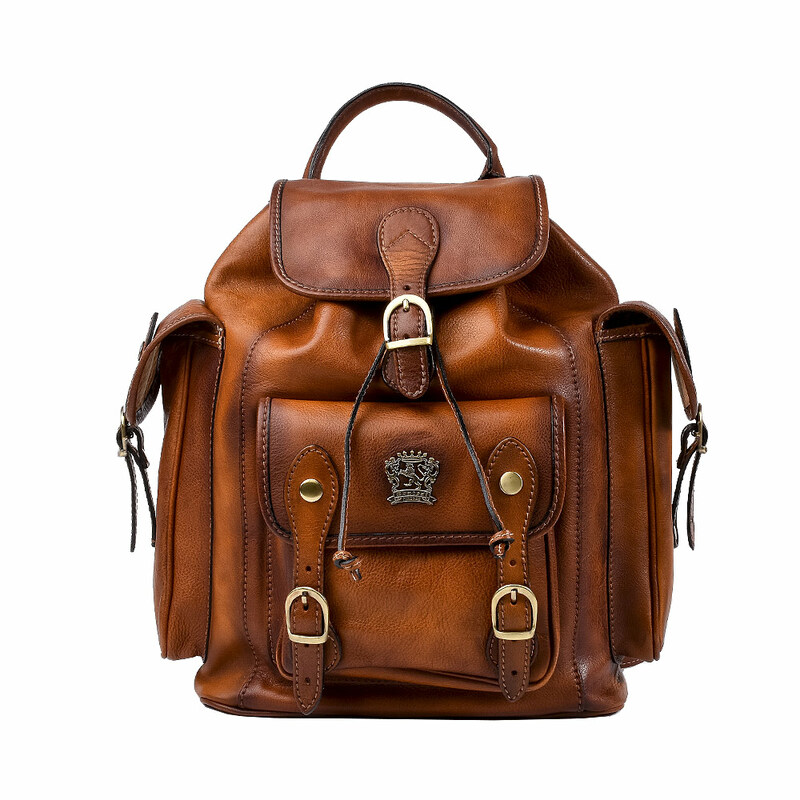 With our Montepulciano backpack, on your shoulders you will be sure to be going to have all you need. 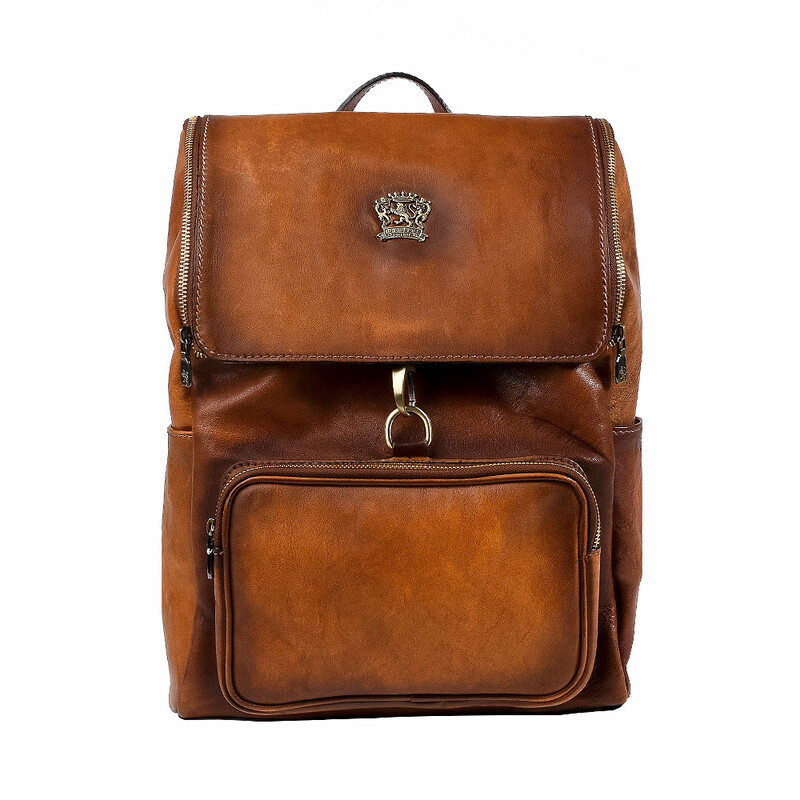 It has a vintage design and a fascinating look that feels like travel and adventure. This thanks to the supreme quality of the handmade hide tanning, that will let the bag increase it’s appeal as time passes. But, not only it is good looking and elegant, it is practical too. It’s an extremely capacious bag, with numerous pockets designed to keep anything you need in order. In the external pockets you can put anything you need to be at hand right away, keys, phone or maybe even a flashlight. Or, in the wide internal compartment, books, headphones, water, maps, and even a sweater if the trip goes on longer than planned… And don’t forget your camera, the sunset isn’t going to wait for you! If you instead are a practical and orderly person, and love the classic and rigorous design, then Certaldo may be suit for you. It is compact and square shaped, and can be carried by the two strips on the shoulder or by hand, and it has an old schoolbag too, one that Italian kids used to wear. Beyond the external pockets it has an internal compartment where you can place anything in an orderly fashion, managing spaces according to the type of day you will be spending. The classic design is exalted by the vintage look and the softness of the cowhide crafted by the best Tuscan artisans. It can match any outfit according to the time of day, that’s why you can always bring it with you. If you want to see more, in our dedicated man’s bag section you will find many more models of you, casual and stylish, made from various materials and with different price ranges. We also would like to remember you that all our items are made in Italy, specifically in Tuscany, according to traditional tanning and sewing techniques. If you want to know more, please contact us, we will be happy to answer any question you might have.